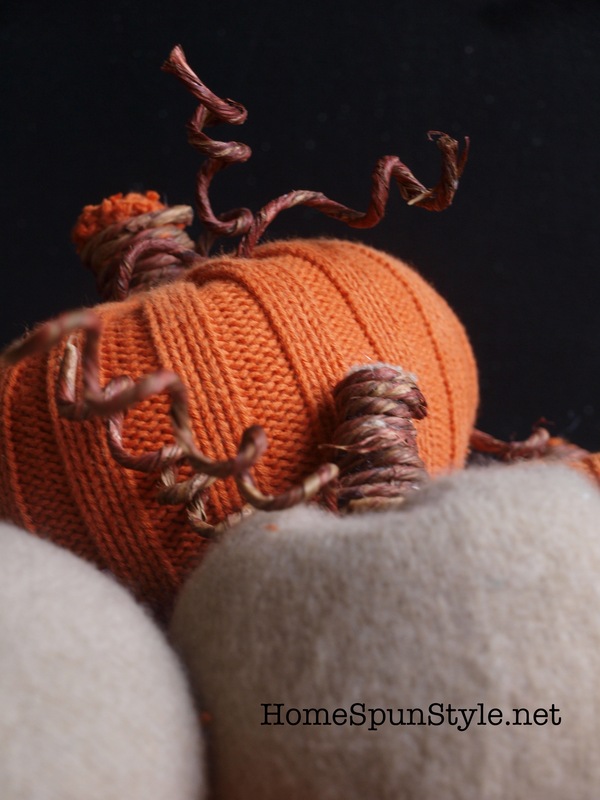 At the beginning of October, Debra blogged about crafting with sweaters. 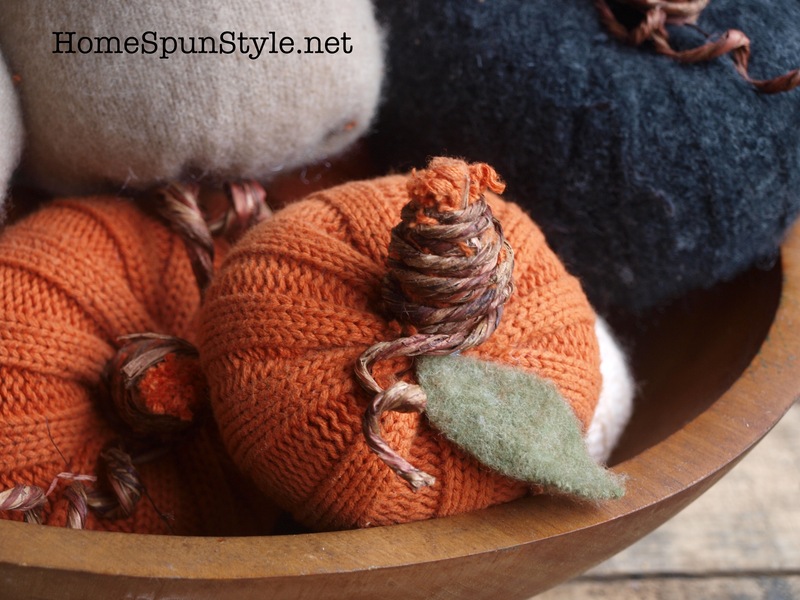 We’ve had so much fun creating these mini pumpkins out of old sweaters this past week! Yvonne over at the blog Stone Gable, has great instructions for making these sweet little things. You can read her instructions here. In addition to her instructions we also found it helpful to run some quilting thread or double thickness thread down the top, through the pumpkin and back up to the top again where we simply tied off. This helped us control the shape of the pumpkin and allowed it to sit more securely without tipping over. We also found it helpful to trim off some of the stem before wrapping with wired paper twine (found in the floral section of most craft stores). This took away some of the bulk of the stem. I love the way they turned out and I may use them this Thanksgiving for place cards that guests can take home with them. 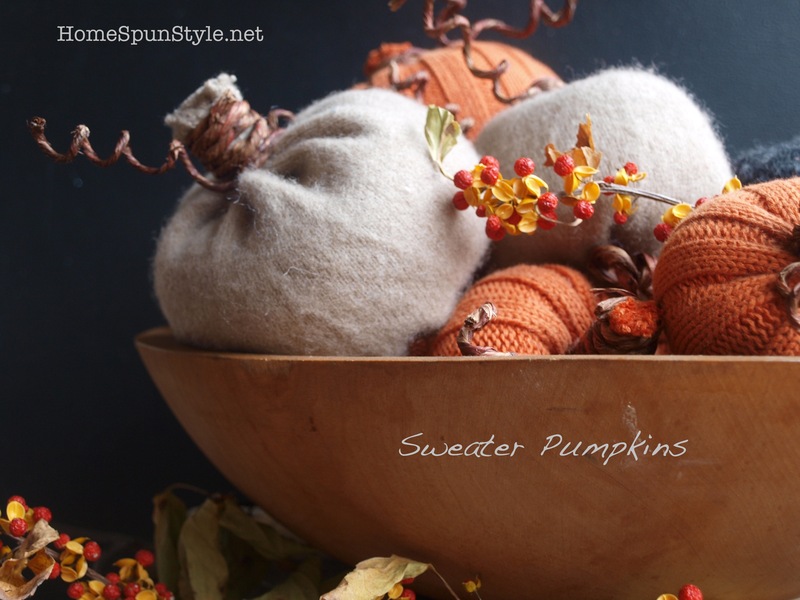 I like the pumpkins plain, but if you want to embellish further, simply use your glue gun to attach a leaf (also cut out from an old sweater). 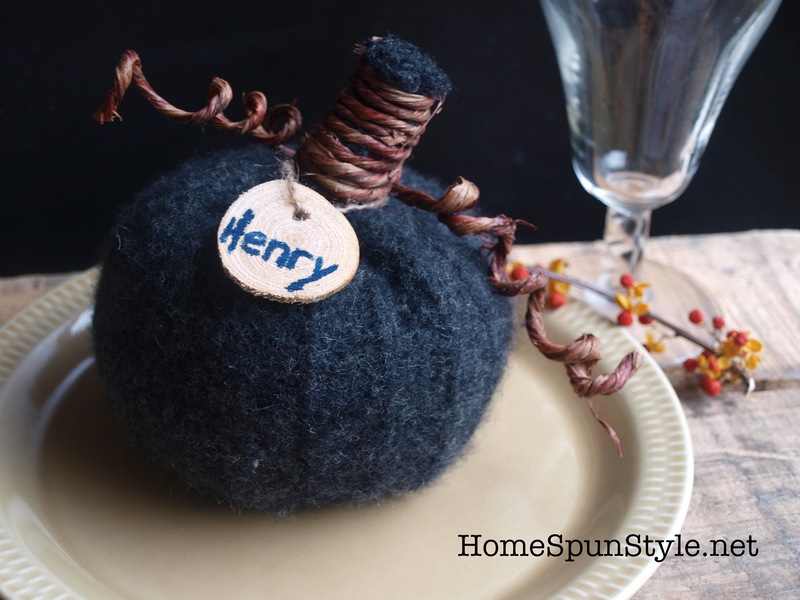 This would be a great inexpensive craft night project or set up a craft table at Thanksgiving for your guests to make their own… keep them busy while that Turkey is baking!